Camping is an antidote for a lot of modern maladies. Combine the serenity of the great outdoors with a little preparation and patience, and it can be one of the best trips a family can take. Go one step further with a four-wheel drive, and there’s no shortage of breath-taking scenery to explore. 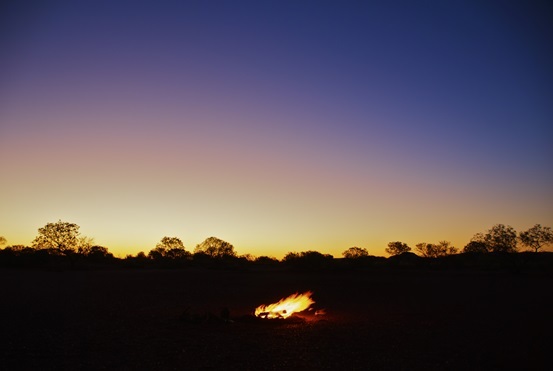 The Gibb River Road is a 660km long dirt track that cradles the southern edges of the inimitable Kimberly National Park. Don’t let that deter you, ‘The Gibb’ is as challenging as you want it to be, and provided you do the necessary research and planning the only problems you’ll come across will be a few literal bumps in the road. The route is lined with spectacular gorges. Bell Gorge is perhaps the most famous in the Kimberly region, and is easy to get to, as is Galvans Gorge, one of the smaller Kimberly Gorges, though no less beautiful. Manning Gorge is particularly memorable, and for a fee you can camp at the Mt. Barnett Roadhouse a short walk away. Gorges are generally more stunning earlier in the season as the water flows stronger. Camping along the road has become strictly regulated, though there are plenty of spots to do so. Named after a French naturalist and explorer, the Francois Peron National Park is situated in the Shark Bay World Heritage Sanctuary, where red cliffs meet white beaches and blue waters. There are several 4WD tracks through the park, the roads consisting of soft red sand. There are plenty of activities for the family to indulge in – canoeing/kayaking, swimming, snorkeling, fishing, bushwalking, plus plenty of wildlife to spot – both in the ocean and on land. There are several campsites to choose from. While driving through the park, there are several flat, low-lying areas called Birridahs. These expanses are gypsum clay pans that occasionally flood and become lagoons. The biggest of these is aptly named Big Lagoon and has camping facilities and is stunning at all times of the day or night. When crossing Birridahs it is not advised to leave the designated tracks. Also named after a Frenchman, D’Entrecasteaux National Park is roughly 200kms south of Perth. Snaking up the Western Coast for more than 130kms, this Park has multiple 4WD tracks, superb fishing and several beachside campsites. Activities exist in abundance, as does flora and fauna, several species of which are native to the area and found nowhere else. The Park is known for its limestone cliffs, high sand dunes and a series of lakes and swamps as you head inland. Yeagarup Hut, located within the park, is a campsite accessible only by 4WD. • Extra water and fuel.